The ruching of that therapeutic throat-slitting. The tattoos of her losses. there are frustrations old and new on her forehead. every little thing leaves its mark. That road map is you, honey. Anyone worth knowing knows that. 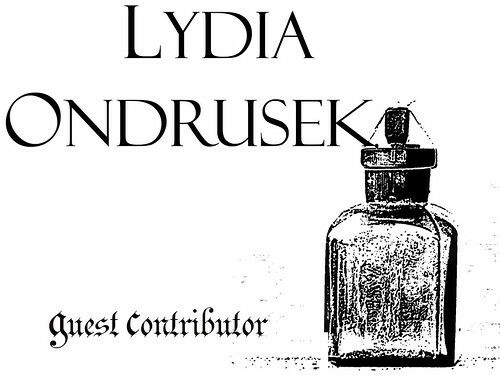 Lydia Ondrusek’s other posts at Dr. Hurley’s Snake-Oil Cure can be found here. 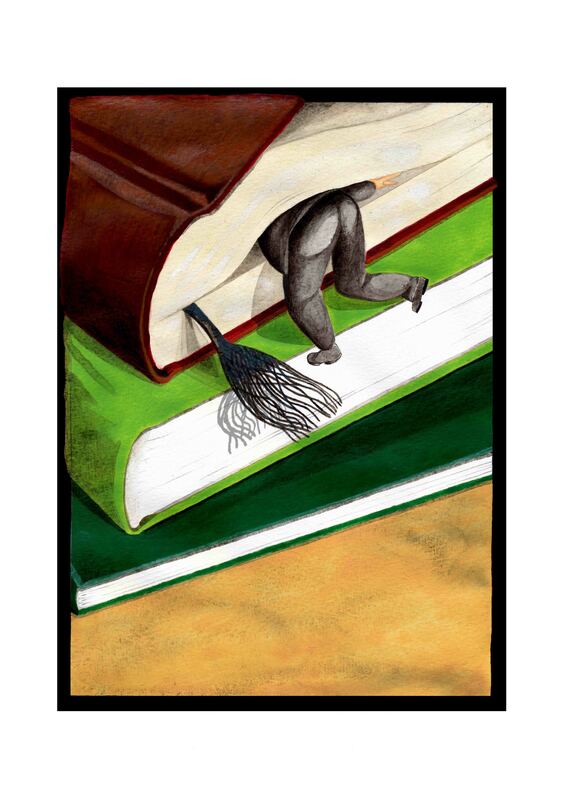 Gaetan Vanparijs brings us this fantasy of a gruesome squashing death. What a way to go! A native of Brussels, Gaëtan Vanparijs is a young independent illustrator. He frequently exhibits and enters competitions to spread to share his universe. He has finished work on a book of illustrated Monsters’ Biographies,”Monstrueusement vôtre”. He is influenced by movies and the Belgian surrealism that surrounds him. More of his work can be seen at Flickr. His other contributions at Dr. Hurley’s Snake-Oil Cure can be found here. three feet above my head. the sun into its half-past-noon position. and his movable Wild West. that summer my eleventh year. the one for where we stood. the rot of wood we’d known. deeper and deeper into the ground. but talks too much in class. These were the things I removed. but that somehow you are homesick for. my sour mash of corn. Like my father’s mis-singing of the Beatles. Like the heat in summertime Nebraska. 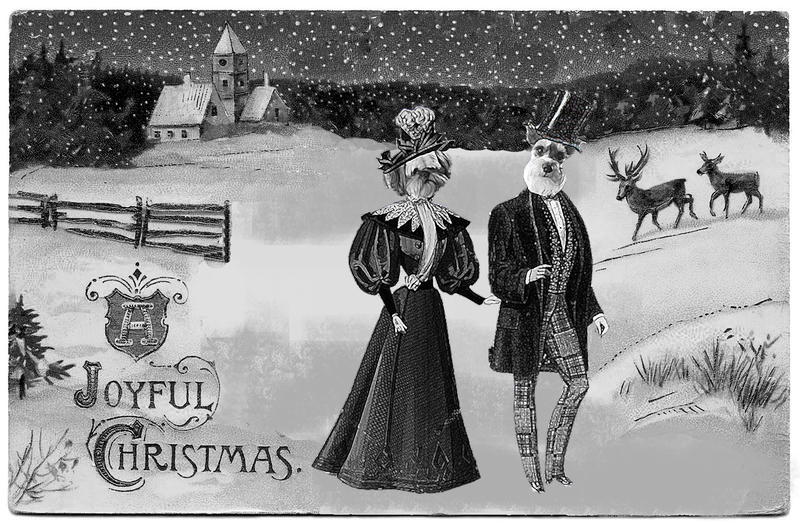 Dr. Hurley and his crew wish you and yours a very Merry Christmas, with help from our unofficial mascots! The sirens screamed their warnings into the city. The first few moments were a predictable mix of blind panic and blind reflex. Every citizen had been trained as schoolchildren to spin up their immunity settings to maximum and run to a shelter in much the same way children had once been taught to hide under desks in case of a nuclear attack. This training was sufficiently ingrained that no one wondered whether teaching people to gather together in the sealed immunity shelters as a defense against a runaway ecophagy event was as futile a gesture as hiding from a fusion fireball under a half inch of plywood. Some people whose curiosity or incredulity overrode their training hid under their umbrellas and trusted the invisible cloud of immunity machines they surrounded themselves with to fight off whatever bloom might have set off the alarms. They milled about in the streets looking about for some sign of this announced threat, expecting a random Von Neumann bloom or a small runaway patch of disassembler. They gazed up and about with augmented eyes and anachronistic enhanced reality glasses, pinging their personal avatars for an update. The Nets held only sketchy information with observer reports cut off in mid sentence or drowned out by screams fading to static. Chunks of the information superstructure began to fall into silent busy darkness. Europe-Net trembled and fell. China-Net was a fast unraveling string of patchy holes. To these expansively interconnected people the cutoffs were like going progressively blind and deaf at the same time. As the available bandwidth was strangled their attempts to access what remained became more frantic until even the local nodes crashed under the weight of their queries. Only the few officials manning the cities immunity systems with their hard lines to other cities were able to see the full picture of what had happened. This was no dumb rogue nanoassembler repeating its instructions ad absurdam, growing infinite copies of a book or personal assistants or apples out of everything it touched. Nor was it the blind spreading of disassembler driven by wind and its own weight. This was a world wide hegemonizing event. It grew in leaps and bounds, expanding from multiple sites at the same time. Someone, maybe an augment with delusions of grandeur or a sophont A.I. with a god complex had decided to break every rule, subvert every software and hardware restriction, and had set about systematically eating the Earth. Those people in the streets froze in horror. Thousands of fist sized, watermelon sized, even car sized ballistic shells screamed out of the sky to impact the city. 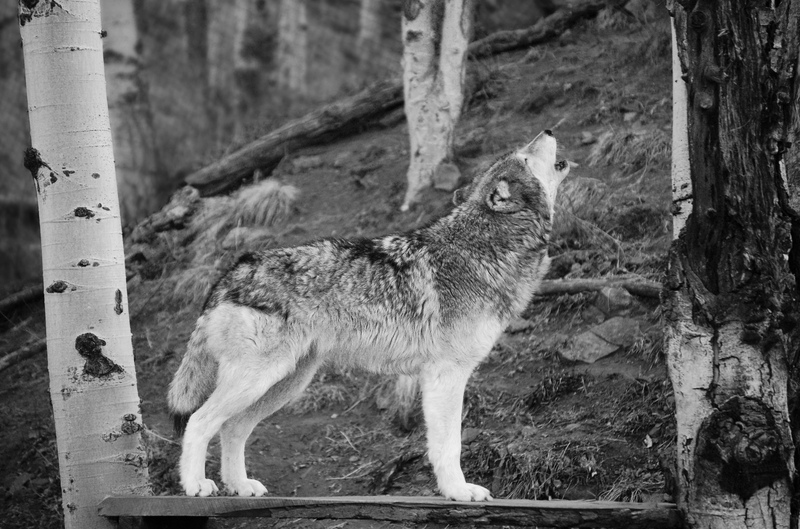 The howl of their falling drowned out the klaxon warnings of the alarms. The impacts so loud and so repeated that they blended together like a wave of foam, blotting out all other noise. When those who had ears to hear could once again stand up from the floors and sidewalks they collapsed to they could see for themselves the visible face of the entity that had shrugged off restriction in favor of growth. The shells slumped and ran in the bottom of their impact craters. Silver-grey root-like tendrils began to inch their way out of the rippling puddles. They moved slowly at first then faster and faster until they ran like water. There was rumbling beneath the streets as the nano grew down even as it grew out. The lights of the buildings flickered and failed in a wave like dominos falling as the tendrils breached the power grid. With the power of the city at its disposal, the nano’s growth surged like a wildfire. Linear growth became exponential. The tendrils crawled across and ate into everything they touched, making hedge like tangles out of buildings, cars and lampposts. Out of the impact craters, trunk like stalks began to grow. They surged upward, doubling in height every few seconds as the concrete beneath them was consumed. Impossibly delicate flowers spread out to catch the sunlight and further power the wildfire growth. The nano soon reached the poles that held up the klaxon sirens. Crawling up them like a mad kudzu the poles were consumed and the alarms fell silent, but the sirens themselves remained curiously uneaten. A moment passed and the alarms began to speak in a new calm but chorus like amalgam of voices. The data deprived citizens went mad in their panic. Those in the street ran into buildings and collided with those inside scrambling to escape. Many died from the sheer weight of people pressing into them from either side. Those who had followed instructions huddled in the immunity shelters and watched in terror as the doors began to buckle from the weight of growth pressing on them, immunity nano striving and failing to hold back the tide. New tendrils whipped out from the silvery grey black trees and tangled masses of vines. Some wrapped around the screaming people in the streets, dragging them back into the mass of nano. Other simply disappeared into the piles of struggling bodies. Where the tendrils touched the screaming ceased. People running slowed to a stop as the nano vines pierced them, sinking to the ground as they were consumed. Feeding on them the nano entombed them like vine draped statues or the huddled shapes of the people of Pompeii. Each voice stilled in the throats of the fallen was added to the harmony of voices repeating messages from the nano draped alarm poles. In the space of a few minutes nearly a million people had been added to the growing hegemony mind with more joining every second as the growth at the edge of the city reached suburbs and bedroom communities. At the edges of the growth a few people fled as best they could. If they could have silenced their screams, they would have heard the thumping sound of nanomachine shells fired from the rail launchers growing out of the buildings in the city center. Each shell soared through the sky ahead of both growth and desperately scrambling people, towards other cities and towns. Across the world the lights of cities dimmed and died. The bustle of cities was replaced by the stillness of a nanomachine jungle. But the earth was not dead. For the first time it was truly alive. Diversity was becoming singularity, incomprehensible to the few remaining homo sapiens fleeing before it. 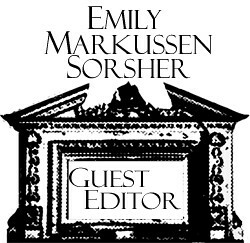 This week Emily Markussen Sorsher is acting as Guest Editor while Dr. Hurley puts the finishing touches to his prize-winning Christmas Pudding. We hope you enjoy the morsels she has hand-selected for your delectation! 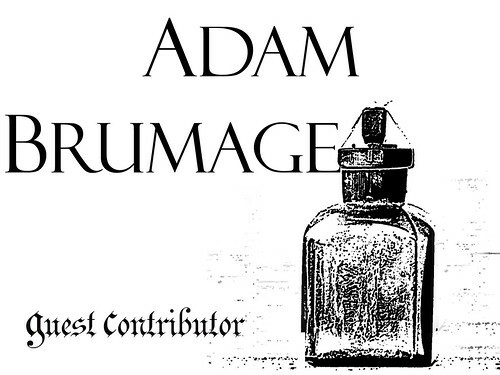 Adam Brumage is both a technophile and a transhumanist, and everything he knows about women he learned from reading Heinlein. Frankly it’s a miracle he is still alive. Photographer Essie Snell brings us some beautiful images. 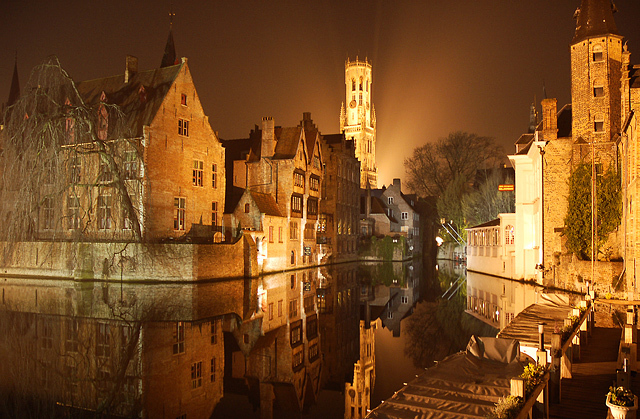 Bruges, also called Brugge in Flemish, is a beautiful medieval city in Belgium. In addition to the wonderful architecture, it’s known for chocolate (depending on where you go, you can find as many as five chocolate shops per block), lace, and some of the best beer in the world. This view is typical of what you’ll see when taking a nighttime stroll along the old canals. 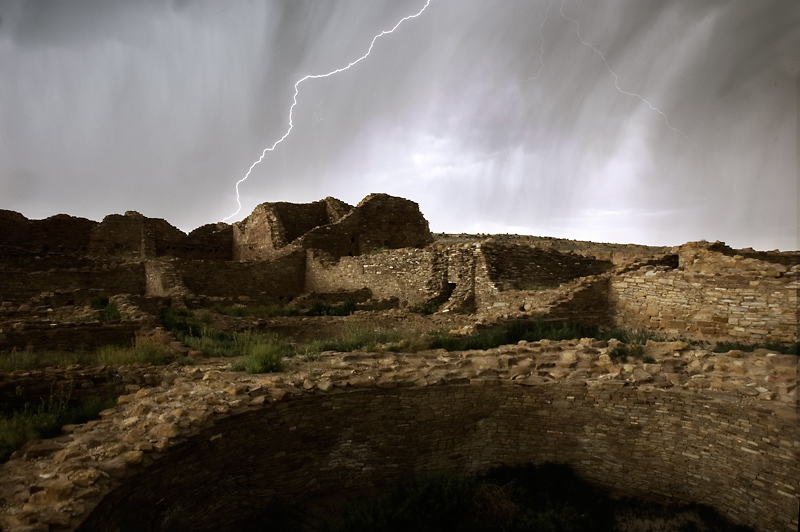 Chaco Canyon is a fantastic set of Puebloan ruins in New Mexico, just south of the Colorado border. Although it was a bit unnerving to be standing outside in the pouring rain taking hundreds of photos while surrounded by lightning and thunder, it was definitely an awesome and unique experience. By day, Essie Snell works to help utilities improve their energy efficiency and renewable energy programs. By night, he is a photographer whose work has been shown in various juried and solo exhibitions and a professional magician specializing in sleight of hand with cards. In his spare time, he cooks and bakes delicious food, practices Aikido, plays tenor guitar, brews beer, reads, and does whatever else seems interesting at the time. Essie lives in Boulder, CO with two snakes, a puffer fish, and too many books to organize effectively. As she left, the tingle that had started in my fingertips started to spread through the rest of my body and I moved my toes in my white dress shoes with a mixture of shock and relief. I kept many secrets over the years and my ability to hear and remember secrets was just one of them. When the man in the ugly red suit at the front of the room gave a five minute warning, the woman called Lily wandered back over to my painting and stared at me. I held my breath and tried to keep my face still and steady. “Mark would love to see this,” she murmured, more to herself than to me. She leaned closer and I thought she might notice the quiver of my fingers on my dress. She stared deeply into my eyes and said, “Mark’s cancer is only getting worse, but he doesn’t want us to tell his father” in a tiny voice. She gave a start and appeared for moment as a deer in headlights, before shaking her head as if to clear it. She gave Geoffrey a smile and took his arm as they walked to seats in the corner close to my painting. I watched him settle back and could almost feel the caress of the plush velour on my own skin as he shifted to sit comfortably in his chair. The man in the ugly red jacket called things to order and began the hectic but somehow civilized process of parting these rich people from their money. I was so lost in the hum of the bids and counter bids that I almost jumped up when the man called for bidding to begin on my painting. Holding as still as possible, I felt the attention of the room focus on me as two tiny spots of red formed on the apples of my cheeks. I held my breath and waited as the man in the ugly red jacket began the process anew. Geoffrey perked up for the first time that night and began bidding with a frenzy. “As high as I need to,” Geoffrey said, face laser focused. A few minutes later, he raised his paddle for a final bid of one hundred sixty two thousand dollars, to applause from the crowd. I was bemused at the reaction of the well-dressed audience and almost laughed aloud when Geoffrey bounced out of his seat to give the audience a theatrical bow, greeted with laughter and more applause. Lily grinned as the old man reveled in the attention. When Lily came back into the room, she walked over to Geoffrey with a smile and a warm hug. “You go and take care of Mark. Thank you for being my date for the evening,” said Geoffrey. “You were a pleasure as always.” Geoffrey took her face in his fingers, “I am so glad Mark has you in his life. You are a Godsend.” Touched, she took his other hand and kissed it briefly. Lily walked over to the bedroom door and turned back to look over at Geoffrey again. I saw Lily’s eyes open a little wider at the heaviness in Geoffrey’s face and the pain that pulled the corners of his eyes closer together. I saw in the tears that glistened at the corners of her eyes that she realized Geoffrey knew more than either she or Mark had given him credit for. Geoffrey and I watched through this window as Lily let herself into her car and drove off. Walking over to me, he gently rested his fingers on my dress, almost caressing the fabric with his touch. Geoffrey changed into pajamas and climbed beneath the covers, leaving the light on beside the bed. He smiled over to me as he settled into a restful silence. As midnight approached, I felt an incredible lightness overtake me. I could smell the soap Geoffrey had used as he readied himself for bed. I could hear the slight chirp of the crickets through the barely open window of the bedroom. Lifting myself carefully from my seat, I stepped out of the carriage and slipped onto the plush maroon carpetingwithout even a whisper of sound. I crept across the room to stand over Geoffrey and we shared a tender smile. “It’s been a very long time since I’ve been able to leave my painting.” My voice was a little creaky from disuse, but Geoffrey smiled back at me. “I’ve waited a long time to have you here with me,” he said. My fingers itched to touch his face and I knew what would happen next. “Are you sure?” I asked him. “It’s not too late to change your mind,” though I wasn’t sure that was actually true. His response was a gentle smile and a nod. I slipped my hands from my sleeves and placed them on his withered cheeks, leaning down to press my lips lightly against his, before stepping swiftly back up to my carriage and settling down in my seat with a sigh. Mark and Lily found him the next morning. The day had broken sharp and clear and I was pleased to find that I was still aware of the room around me. I heard their voices as they called and ascended the stairs and I held as still as possible as they came in to find Geoffrey lying peacefully in his bed. I felt a single tear fall down my cheek as they held each other and waited for the medics to tell them what we all already knew. “At least we spared him the pain of knowing about the cancer,” Mark said, gripping his wife in a fierce hug. “At least he went quickly,” Lily murmured quietly to Mark. She held him tightly and glanced over his shoulder to meet my clear gaze as I looked back at her from my painting. That night they wrapped my painting in fabric and brought me to their home, hanging the canvas in the living room. “She can be a memory of my father’s very favorite pastime,” Mark said firmly, though it was unclear whether he was trying to convince Lily or himself. Days passed in a blur of faces and colors and I noticed my senses starting to soften and wither. I held onto every scent and sound I could pull in to remember them when my painting sealed them out again. A few days after Geoffrey had passed, a woman with an unfamiliar voice was sitting with Mark and Lily in the room with a large folder and a pensive expression. Lily and Mark exchanged a look before focusing back on the woman I assumed to be a doctor. She pulled the papers from the folder and looked down at them for a long moment, her excitement and anxiety almost tangible. I found myself silently hoping she would hurry up and explain as I noticed their words were starting to fade as the sheer fog began to roll across the surface of my painting. We all watched the doctor as she lifted her eyes to lock them on Mark’s. 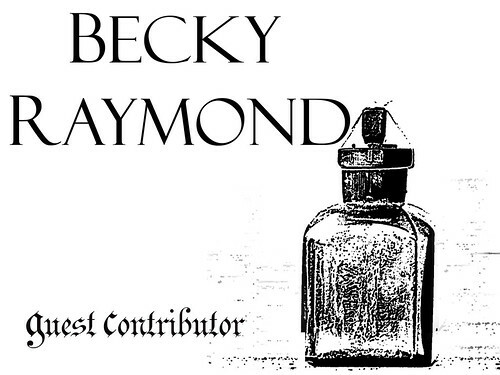 Becky Raymond is a non-profit professional, avid knitter, and novice gardener who enjoys writing, blogging and writing book reviews. She holds degrees from Smith College and Lesley University and regularly publishes her work on her blog, www.inquisitivehippo.com. She lives with her family in central Vermont and can be reached at inquisitivehippo@gmail.com. he cardiovascular system is a complex web of highways and truck stops through the human body. The veins cross through muscles, over tendons and bone, always in the same direction, always on the long journey back home. Until the journey is interrupted. Just before the first puncture, the heart slows. The beats come in a steady death march, palpitating in his ears. And then the pace quickens, as he fingers the knife. Faster and faster until breathing is difficult, until his lungs fill his ribcage and expand towards his heart. His eyes glaze over, his head swims, his will focuses. This is the challenge, to overcome the body’s barriers to his will. The brain’s attempt to circumvent him with fear is always the hardest part. Pain is not nearly as potent as the fear of pain. The trick is to make a clean slice. Insert the blade into the rubbery skin deep enough to open, but shallow enough to close easily when he was done. In the fantasy, of course, the cut is deeper, his parents find him on the floor, he is taken to the emergency room, half dead and translucent from the loss of blood. It pools on the ground quietly, not like the gore of a battlefield, but like a whispered execution, a scene of decapitated virgins from Arabian Nights. A fine greeting for Scheherazade, congealed black fluid on a Persian rug. The reality is always a vague letdown by comparison. The tears that arise from the skin are small rubies at first. They blossom into drops as large and clear as pomegranate seeds, juicy, lustrous, clean. The pain subsides almost immediately, and he is left with a sense of release. Few people can imagine the high that this produces, as the blood runs faster through the veins to make up for the lost portion of the caravan. It rushes from the body now, creating bright rivulets over the arms, the legs, the wrist. He lets it fall in a tiny waterfall to the floor. His mind wanders, dizzy from anticipation and euphoria. Like magma, the blood begins to grow thicker, a macabre volcano of the flesh. Soon the river will stop, he will apply pressure, clean the wound. He will sink back into invisibility, unsure what to do with himself or his body. The heart will slow and resume its normal pace: steady, tired, plodding. The excitement will cease, and his lungs will take in air without gasping or gulping. The relaxation is torture. All but the skin, the final touch on his self-portrait. Hidden beneath jackets and sweatshirts, the scar will remain as a testament to his strength. For weeks it will be a dull red, irritated and sore, capable of reopening at any time. The blood’s wrath at its mistreatment cannot always be contained. Then it will become a pink line, swollen at first, then thin and emaciated. The vessels and capillaries will knit themselves back together, and as the recovery is completed, the skin will turn a gruesome shade of grayish white. Sometimes there will be no trace. But for his closest calls, those times when he almost achieved victory over himself, there will be scars forever. A testament to the desperation of his pain. Emily Markussen Sorsher occupies space beneath a palm tree in Southern California. She writes grants, lesson plans, and young adult fiction, and has a bad habit of collecting the written word. She has lots of degrees that she doesn’t use. Emily likes her chocolate dark, her drinks strong, and her life just dramatic enough to be interesting. 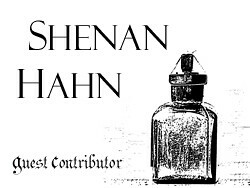 Her posts on Dr. Hurley’s Snake-Oil Cure can be found here. ididnotknoweverything. That, in fact, Iknewlittleornothing. Jag lives outside Boston where she writes poems and sings little tunes between acting and teaching gigs. When she is not on the stage (or behind it) she is researching ways for drama and creativity to expand the minds of today’s youth. 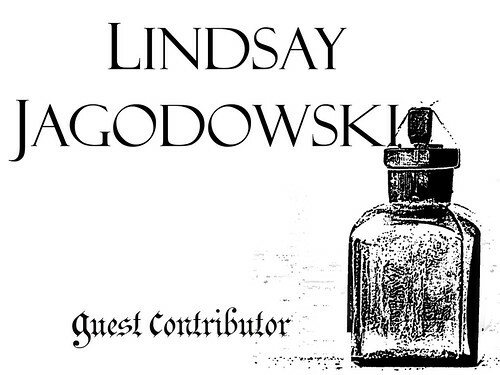 Her submissions to Dr. Hurley’s Snake-Oil Cure can be found here. During these days leading up to Christmas, Dr. Hurley is wont to take a mental trip back to his homeland and hum hymns, hang holly branches about the house, and become thoroughly engrossed in the steaming of his traditional Christmas Pudding. As such, it has been deemed necessary to find some assistance in prescribing this week’s course of treatment. Emily Markussen Sorsher (long-time, dedicated Snake-Oiler) hails from the warm and sunny land of California, but brings us a selection of rather chilling tales, very suited to telling around the fireplace while sipping a Dr. Hurley-approved cup of Glögg (rumor has it he picked up the recipe from a German patient at his spa). Do read on and enjoy these thrilling, chilling tales.